So, the wait is finally over as ‘Zero’s trailer was finally released today on Shah Rukh Khan‘s 53rd birthday. The ‘King of Romance’ totally owns the trailer and Anushka Sharma, Katrina Kaif are also perfect fits in the film. The movie helmed by Aanand L Rai totally lives up to the expectation. Shah Rukh Khan once again proves that why he is the darling of the masses. Jab tak Jahaan Mai mera Naam hai tab tak mere Naaaam tuuuu..
1) something fresh, something new served to audience. 2) unique and different plot. 3)And the best actor in business playing role of dwarf. 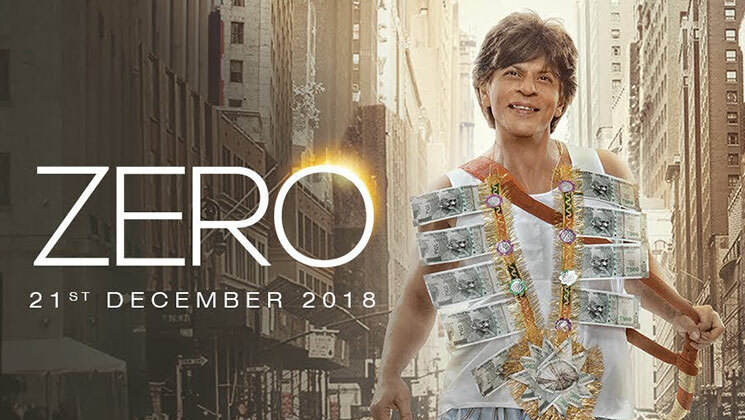 ‘Zero’ releases on December 21, 2018. Shah Rukh Khan has after a long time given his fans something to smile about and we can’t wait to watch the film!